Performance improvement is an interest of mine. I have previously blogged and podcasted about the strategies I employed to lift my game (from rock-bottom) when working in an extreme environment – a South African township ED. I first became aware of ‘deliberate practice’ after reading an excellent St. Emlyn’s post last year. I had never encountered the concept before, but it resonated with me because it resembles certain aspects of how I’ve approached self-improvement in a professional setting, particularly when desperate to prove myself in South Africa. 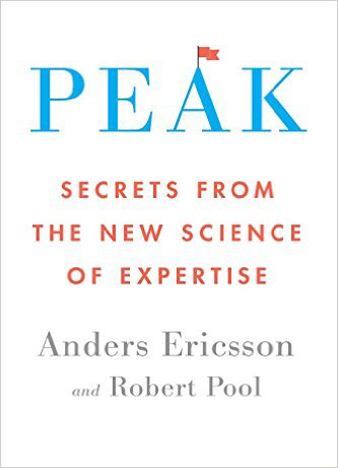 The psychologist who originally described deliberate practice, Dr. Anders Ericsson, has recently published a book – Peak. It explores the ‘science of expertise’, for which he is the world’s leading expert – the expert on experts. I thought I’d discuss a few of my take-home points from the book. Too often, wider society’s assumption is that elite performers are naturally ‘gifted’. They have been magically blessed with superhuman ability. According to Ericsson, this is false. No-one is born with an innate ability to perform at expert level, in any domain. All exceptional performers, regardless of field, have had to push themselves through a very intense practice regime to get to where they are. They have learnt how to be brilliant. 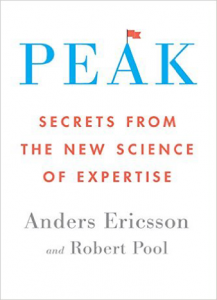 Ericsson repeatedly makes the point that in his 30+ years of studying an extraordinarily wide range of expert performers, from grandmaster chess players to professional tennis players to concert violinists, he is yet to encounter a genuine ‘prodigy’ – somebody born with prerequisite skills for expert performance. 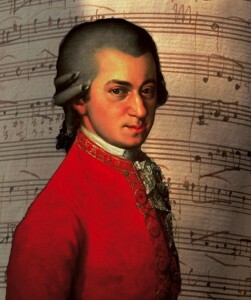 Ericsson’s favourite example of the ‘God-given talent’ fallacy is legendary composer Wolfgang Amadeus Mozart. From an astonishingly young age, Mozart wowed audiences in concert halls across Europe with his apparent mastery of multiple musical instruments, and was labelled a child prodigy. Not so much, it turns out. The history books reveal that Wolfgang could barely walk before commencing a comprehensive training regime designed by his father, a pioneer in musical training. Furthermore, Ericsson claims that if he were around today he would barely stand out from the crowd. In fact, it’s been demonstrated that Suzoki Method-trained child musicians are often able to perform to a higher level than Mozart was ever capable of achieving. A key component of Mozart’s prodigious skillset was thought to be his possession of perfect pitch – the ability to accurately name a musical note upon hearing it in isolation. The assumption was that it spontaneously emerged from birth and was un-teachable. It has since been proven that anyone can be trained in perfect pitch, particularly if they’ve received appropriate training between the ages of 3 and 5 years. Intriguingly, it is now acknowledged to be fairly common for children born in countries where tonal languages (e.g. Mandarin) are spoken to possess perfect pitch if musically trained. No magic involved. The only exception to the rule that natural talent is bogus is when it comes to height and body size. Specific phenotypes are essential for certain sports – you need to be tall to slam dunk a basketball, and being short confers a big advantage for competitive artistic gymnastics. No specialised training regime will lengthen or shorten your bones. We’re all endowed with the same ‘gift’ – the ability to adapt and improve if we train ourselves correctly (i.e. effective practice). Excitingly, Ericsson’s key message in Peak is that a common set of general principles lie at the heart of effective practice for any human endeavour… all walks of medicine included. The most common approach to improving performance is ‘naive practice’. This is where one spends a significant amount of time engaging in the activity, with the hope that stockpiling experience alone will improve performance, and move them closer to the realm of expertise. This is aligned with the 10, 000 hours ‘rule’ as per Malcolm Gladwell in his book Outliers. The proposed theory is that 10, 000 hours of generic practice yields expertise, with emphasis on time spent practicing as opposed to the nature of the practice itself. No specific component of the activity is isolated and focused on (e.g. putting in golf, or needle manipulation in central venous access), one just keeps doing the task over and over again. Outliers has been an immensely popular publication, and the 10, 000 rule a widely-disseminated concept. It sounds cool, and it satisfies the basic human desire for cause and effect. In reality, this theory is fundamentally flawed. In order to change behaviour (i.e. improve performance), you need to engage in effective training. Ericsson calls this ‘purposeful practice’. Interestingly, it is Ericsson’s original work, examining concert violinists in training, that inspired Outliers, and he levels a reasonable amount of hostility towards Gladwell in Peak, with accusations of corrupting lessons from the research. The best violinists out of the trainee group had all spent approximately 10, 000 hours by the age of 20 in solitary practice, as compared to the more inferior (but still relatively elite) trainees who had a few less thousand hours on the clock. It was this finding which prompted Gladwell to jump to the conclusion that 10, 000 hours was the magic number, yet the few that went on to win international music competitions did so at 30+, when they had put in 20,000 to 25,000 hours of practice. It might be mired in controversy, but the 10, 000 hour rule does serve one crucial purpose – it reminds us that a massive volume of practice is required to achieve peak performance. No elite performer in any field has not dedicated a significant slice of their life towards achieving their goal. The path to greatness is not easy. 1. You need to establish a (reachable) specific goal. Vague overall performance targets like ‘succeed’ or ‘get better’ won’t cut it. 2. You must be maximally focused on improvement during practice. It must be intense, uninterrupted and repetitive (‘drilling’). Not particularly pleasant, but highly rewarding. 3. You must receive immediate feedback on your performance. Without it, you can’t figure out what you need to modify or how close you are to achieving your specific goal. 4. You must get out of your comfort zone, constantly attempting things that are just out of reach. Goal: Be fast and efficient at single-handed surgical hand-ties by the end of the training session. Focus: Watch a training video explaining how best to perform the tie a few times; then practice tying knots round a kitchen utensil using the taught technique multiple times. Feedback: Compare your performance to that on the training video, or ideally get personalised feedback from a supervisor. 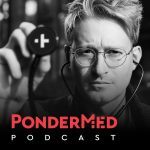 Exit comfort zone: Experiment by performing the technique under time pressure or give yourself less suture thread to work with. A hallmark of purposeful practice is that performance level during training tasks is not initially at the desired level – there is a gap. By the end of a phase of training, there needs to be something measurable that you’ve improved. Embracing these principles in training squeezes the trigger of the greatest weapon in the arsenal of the human brain – adaptability. Every training session should be viewed as a challenge to refine and improve. 1. The field must be well established, and elite performers easily identified. 2. A coach or teacher guides training. A good coach provides constant individualised feedback and designs training activities that target specific areas. They hold the ‘roadmap’ that guides the student through an evolving training regime that hones skills in a specific order. Certain skills can only be taught and practiced once others have been mastered. This calculated and heavily supervised approach to training always leads to elite performance when the student is motivated. It is tried and tested. A useful analogy is to think of purposeful practice as trekking through the desert to a specific destination that is out of sight. You know the general direction you need to go, but in order to reach the destination you must walk in a completely straight line – notoriously difficult in the desert. A good strategy would be to use landmarks up ahead such as trees and sand dunes to aim at, so as to avoid walking round in circles. You are progressing with a purpose, but there is minimal guidance. In this context, deliberate practice can be thought of as that same journey, but instead there is a path marking the route you need to walk, with signposting along the way, and even a camel guide to get you back on track if you veer off the route. Engaging in purposeful/deliberate practice modifies the structure of our brains. Specific neural circuitry, which fires action potentials when training a skill, get reinforced and increasingly complex. This serves to strengthen the ‘mental representations’ one has of the skill in question. The human brain is a blank canvas, and learning a new skill is like painting a picture on that canvas – the picture being a mental representation of that skill. With effective training, and as one improves at performing the skill, a discernible image starts to take shape. As the years of effective practice roll on, the picture becomes increasingly detailed and animated, and eventually it correlates with performing the skill at an expert level. The expert performer, via their mental representations, is acutely aware of how best to perform. By comparing what they are doing in the moment with the perfect picture in their head, they can modify their performance appropriately – self-policing. The quality and quantity of mental representations is what sets expert performers apart from everyone else. The perfect example of elite performance correlating with highly sophisticated mental representations is George Koltanowski, a chess Grandmaster who set the world record for simultaneous games of blindfolded chess – 34 games (he won 24 and lost 10)! His mental image was so strong that he could animate each game in his mind without looking at a single chess piece. It turns out simultaneous-game blindfold chess has been a pursuit of Grandmasters for centuries. Furthermore, in studies of elite footballers and basketball players, it has been shown that when visual stimulus is suddenly removed, they can accurately pinpoint the position of all their teammates and opposition, and even predict how the game evolves in the seconds that follow. Again, this is facilitated by their mental representations – highly detailed images that come to life in the brain of the performer. Fascinatingly, if you asked a grandmaster to recall the positions of randomly placed chess pieces on a chess board, or asked a footballer to recall the positions of 22 randomly placed men on a football pitch (i.e. not in position as a result of a game), they would fail because their mental representations are specific for the respective activities. If the arrangement of pieces or players is random, it ceases to be meaningful, in much the same way a set of jumbled up words is meaningless in comparison to a sentence. 1. Your abilities are limited by genetics. 2. If you do something for long enough you’ll get better. 3. All it takes to improve is to increase your effort levels. Once this is done, you are set free; the world is your oyster. However, the road to expertise is long and gruelling, and patience is crucial. The four underlying principles of purposeful practice must be kept in mind at all times, and failure should always be viewed as a precious opportunity to reflect and refine one’s mental representations. If no coach or teacher is available (i.e. deliberate practice not strictly possible), identify somebody who is at a level that you want to reach (i.e. a mentor), try and understand how they got there, and proceed to purposefully practice. Intense periods of focus, constant repetitions, and hovering at the edge of one’s comfort zone in training will get pretty miserable and frustrating at times. However, it should be appreciated that when quantifiable improvements start to occur, striving for further gains will become more enjoyable… even exciting. Remember that a crucial aspect of deliberate practice is that it focuses solely on performance (i.e. how to do it) – it is a skill-based practice, and this must be embraced. By effectively practicing components of the skill and building stronger mental representations, knowledge will build naturally alongside. New concepts will seem less abstract as they are absorbed whilst applying skills (NB: This is in contrast to the traditional approach to medical training which has placed more emphasis on knowledge acquisition than skill development, largely because it is more convenient and less labour-intensive to teach). An unfortunate reality of most medical specialties is that once a practitioner is fully qualified (i.e. 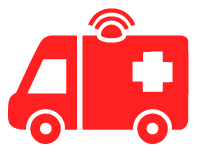 a consultant or attending physician) there are few opportunities for immediate feedback on his/her clinical practice. There are no longer regular mandatory appraisals, and too often, little feedback from the patients themselves (e.g. a radiologist might not be made aware of the outcome of a patient where a cancer was missed on CT scan). Furthermore, as seniors are no longer being actively trained, it is very unusual for them to be pushed out of their comfort zones, and they will usually deem their own performance level to be ‘acceptable’. You might say that they are particularly guilty of naive practice. This is a recipe for stagnation, and an overall decline in performance. An interesting passage in the book is where Ericsson discusses research into senior radiologists looking at mammograms, and experienced GPs listening to heart murmurs. It turns out their diagnostic accuracy is no better (and in some cases worse) than their junior colleagues, who will have received more recent active education. 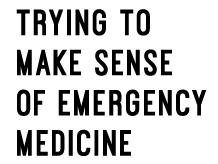 As an emergency medicine trainee, much of my daily work will embrace the principles of deliberate practice, but it is variable, and often depends on the boss I happen to be on shift with. Taking ownership is key. It’s up to me to be cognisant of what elements of practice will make me a better doctor, and anchor my training appropriately. Awareness of these principles has also given me a greater appreciation of the utility of simulation training – ‘off-the-job-training’ which focuses on closely supervised skill development rather than knowledge acquisition. It will be far more of a paradigm shift for senior doctors (i.e. finished all training) to adopt deliberate practice, but the implications for patient outcomes, and indeed medicine’s overall trajectory, will be enormously positive if they do. I highly recommend Peak to anyone interested in improving at what they do. Doctors, of all grades, should be aware of, and striving to incorporate, the lessons from Anders Ericsson’s masterpiece. This post has also been published on the EMJ blog.